The Montreal Canadiens are in the middle of their longest road trip of the season, a six-game swing that ends on New Year’s Eve against the Dallas Stars. Truth be told, the real test comes before that, as the Habs travel to Florida to face the Panthers and the Tampa Bay Lightning on back-to-back nights on Dec. 28 and 29. That’s despite the fact that last year, the Habs went 0-2 under essentially the exact same set of circumstances. Playing Tampa and then Florida right before New Year’s Eve, they went 0-2. The only difference is, last season, the Habs had the benefit of a day off between the two games. It’s also in spite of the popular theory the Habs always do badly against the Panthers and Lightning. Granted, for the sake of the argument, you’d have to ignore how, on a separate set of consecutive away games against the two Florida teams, in March, the Canadiens also lost the pair and overall they went 2-4-2. Remember, the Habs were especially bad, though. In 2016-17, when the Habs actually made the playoffs, they went 3-0-1 over both sets of back-to-back road games against them and 5-1-2 overall. All-time, the Habs are above .500 against each team. In fact, they’re only below .500 against three organizations (Ottawa Senators, San Jose Sharks and Minnesota Wild). It’s almost as if, when the Canadiens are good, they tend to do all right during stretches such as these. 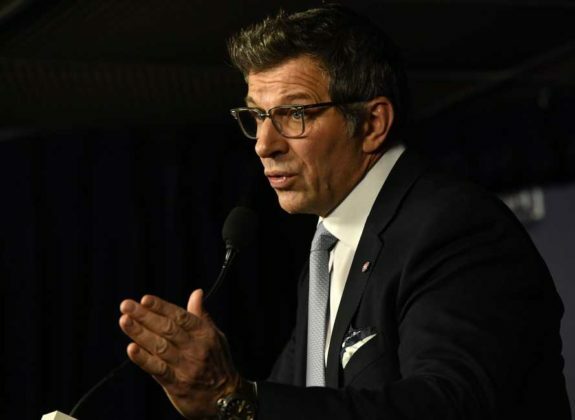 So, it stands to reason, if the Canadiens, who are holding down the second Eastern Conference wild-card spot, are actually playoff-bound, as general manager Marc Bergevin needs them to be, they should dispatch the Panthers and Lightning with ease. However, that’s not the point here, not exactly anyway. If you look at the standings, the Canadiens are between both teams in the Atlantic Division. 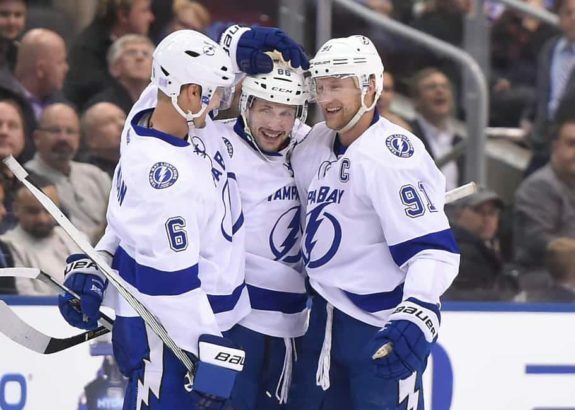 The Lightning own the best record (in the Eastern Conference and NHL too) at 28-7-2. The Panthers are on the outside of the playoff picture looking in, seven points back of the Canadiens, with two games in hand at 15-14-6. It seems unlikely at this point, that, even if the Panthers win those two games in hand, they’ll be able to catch the Canadiens. Stranger things have happened, but the New York Islanders, who are directly below the Habs at 18-13-4, are a bigger threat now. Nevertheless, the Panthers have a strong team on paper and should not be taken lightly. Assuming the Panthers don’t end up making the playoffs, and it’s a fairly safe statistical probability the Panthers don’t, the Habs will have no excuse for letting this next game slip by. It’s not just because it’s an opportunity to deliver a deathblow to their playoff chances, either. The Habs should be well-rested after five days between games with the Christmas break. They shouldn’t even be distracted by New Year’s Eve as it’s a few days away. Well, they shouldn’t be regardless, if Bergevin has successfully instilled his players with the right competitive attitude, anyway. Really, the only reason one would be able to come up with, if the Habs do end up losing, assuming all else is equal, is that they don’t end up being the better team. It’s that simple. And if you’re not the better team against one that’s unlikely to make the playoffs, draw your own conclusions. Not only will they have lost, but they’d be guilty of letting the Panthers up from off the mat. If the Panthers were to make up their games in hand, they’d only be one point back of the Habs then. 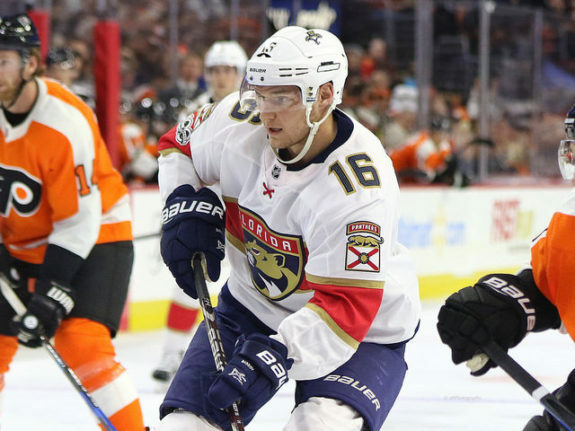 Considering the Panthers went 25-8-2 down the stretch last season (only to miss the playoffs because of a bad start), the Habs don’t want to give them a chance to turn their season around, especially not at their expense. In contrast, the Lightning are obviously set to be superior opponents and few would be surprised by a Canadiens loss, but, at the end of the day, these are the current league leaders. You should be able to get up for these games. Regardless of the outcome, the effort level should be there. It technically should be there every game, but these two games, because they’re against division rivals, are bigger deals. The ramifications of losses will go beyond contributing to an unimpressive .500 record at best on the Canadiens’ road trip. At 2-1 so far, it is widely being viewed as a barometer for how the season will turn out as it also coincides with roughly the halfway mark. While .500 teams don’t typically make the playoffs, there’s another, better reason entirely, though. It used to be that these sets of games, against the Lightning and Panthers on the road, were viewed as being critical to the Canadiens’ playoff chances. That, if the Habs let these games in particular slip away, they could look back solely on them come the spring with regret. Obviously, that’s silly for a few reasons, namely how, in any given season, even the good ones, the Canadiens soil the bed on enough occasions for them to have a wide choice of losses they should wish had gone differently. Also, the Panthers and the Lightning, especially, aren’t as bad as they once were. What these games will truly reveal in part is just how good these Canadiens are instead.